Kimberly Franklin: A Big Kaboom... and other random stuff. A Big Kaboom... and other random stuff. For those of you who don't know, I live in Dallas (and by "Dallas" I really mean Fort Worth), Texas. And a couple of weeks ago Texas Stadium (or Cowboys Stadium--which is right up the road) came crumbling down (on purpose of course. 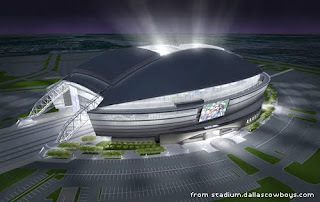 Have you seen the new Cowboy Stadium? There are only three letters needed to describe it: O. M. G!!!). I didn't join in the city wide festivities (yes, festivities, with millions of people--the city of Irving actually such down major freeways surrounding the stadium, and there were fireworks and everything!! ), but I do have a fun video for you to watch. In other news (other than random videos of buildings going KABOOM!, which are extremely important, of course), I started working on my new story. And surprisingly, it's going extremely well!! It seems: the words, they are a-flowing... which is great! I'll keep you guys posted. If you haven't checked out these bloggers yet, you must be crazy! They are all fabulous!!! Well guys, it seems I've rambled enough for today. Thanks for listening and I'll see you all on Friday!! I lived in San Antonio for three years and loved it. Texas (and Texans) rock. You definitely showed the cool factor! It's amazing to watch something that has so much history go down in mere seconds. 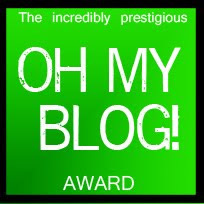 Yay for bloggie awards!!! You are so worth it! Congrats! yes a huge: OMG from me as well! that's by far better than the Olympic stadium!! random posts are fun after all!! so many awards you got there. i like your writing style and your reading taste..
i don't fancy reading Greek stuff that much since the recent writers of my time are mostly mimicking english and spanish authors. i will keep in touch and if you have anything interesting to suggest.I'm here..if of course I'm lucky enough to get a copy in English here in Greece.i loved the body finder and before i fall .thanx for following! Yay for the new WIP! Glad it is going well. Continued luck with that and much love for today! Congrats on all the cute awards! I'll check out these links! Always fun to see buildings come down as well. Wow. Sometimes it drives me nuts how these giant stadiums are torn down (i.e., wasted) and rebuilt. I mean, hello, Colosseum? Can't we build for longevity anymore? But, sigh, at least we get some cool videos out of it. Not being a football or sports fan in general, it just seems like a huge waste of money and resources to me. But...it IS a cool video! Glad your new story is coming along nicely! 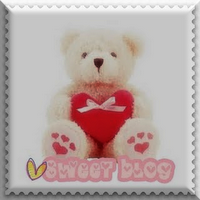 Aww, your blog is adorable!!! I went away for a while to let the video load up and when I returned I had completely forgotten what exactly I was supposed to be watching. So when I clicked play I was all "Why am I watching the stadium with some, quite frankly, umimpressive flashy lights at the bottom?" It was also awesome to watch though, so weird the way buildings come down. Omg, thank ou so much for this, the back song was awesome as the stadium came crumbling down! I would be the first in line, shouting "YEAH!" with a beer hat and a hot dog. Of course that image suits a fat macho much more then me, but I´d still do it lol. I plan on catching a college football game in the new stadium next season. Maybe you'll let me say hi to you in person?? That reminded me of when they blew up the Kingdome in Seattle - such a sad day. The new stuff is awesome, but it's hard to let the familiar and sentimental spots go. That's quite the stadium! Crazy, Looks a bit like Wembley here in London. Good luck with the wip and congrats on those awards!! You deserve them because you are soooo awesome! That was totally WAY cool & i enjoyed that even though i have seen that before. :) Thanks for sharing! Shannon - I love San Antonio, but haven't been in awhile. So glad you stopped by!! Amy - Thanks! I hope you have a great day and much luck with your wip and everything else!! KarenG - Thanks!! I hope you have a great day!! Summer - I'm not into sports at all, but the Kaboom was cool. Good luck with your wip!! Tara - Thanks!! I hope you have a wonderful day! Mia - You are too funny! I have a feeling we would get a long really, really well in real life. Haha... I have many a classic kimfail moments. LOL :) Too many! Clara - I'm so glad you liked it. It was my first attempt at putting a video together and, well, it was kind of harder than I thought. But I love that song too. It's by One Republic and the song is called "Everybody loves me." It's a great song!! Talli - It's so cool that you live in London. I'm so jealous! Elana - Thanks and thanks!! Have a great day! Marsha - Thanks, my fellow Texan! No competing here. Haha. You're so awesome too! Crystal - Thanks! I hope the ideas stay flowing. 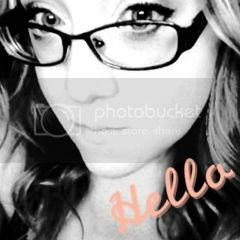 Sarahjayne - Thanks!! Have a great day! Kimberly - I'm so jealous that you're going to Hawaii. So. incredibly. jealous! Eva - You totally should. That new stadium is awesome. Just save up for parking... I heard it costs around $50. LOL. Crazy, huh? !